See Check Twice at Fenway Park!! For those of you who could make “Check Twice Night at Fenway Park” this past Monday, supporters were spreading the Check Twice message in the park, and on the field. This entry was posted in Awareness, Events and tagged bikers helping bikers, check twice, elisa mello, fenway, jennifer hauser, mmsf, sue hart on May 3, 2018 by mmsf. 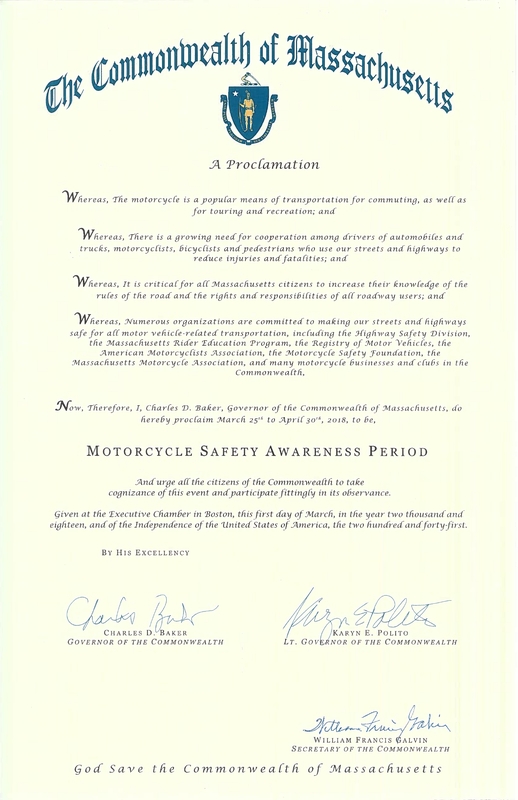 Join Check Twice Signs and the Massachusetts Motorcyclists’ Survivors Fund to honor 19 years of helping others and to share our Governor’s Proclamation at Nelson’s Family Pancake Breakfast. Tickets are $6/person and include pancakes, sausage, scrambled eggs, beans, juice, coffee and a copy of the Governor’s Proclamation. This entry was posted in Awareness, Events and tagged awareness, beverly, check twice, events, governors proclamation, mmsf, nelson's family, vittori rocci post on March 6, 2018 by mmsf.